2017 JCB 540-140 Telehandler. With 1500 hrs. The handler has a reach of 14m as well as sway control. cab has air conditioning and heater. In mint condition throughout and still benefits from being under original JCB warranty. 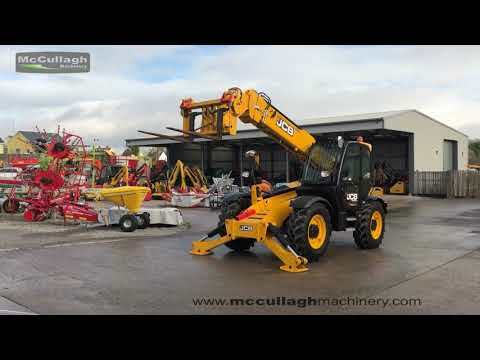 To make an enquiry about 2017 JCB 540-140 Telehandler call us on ROI 048 6634 8213 | NI 028 6634 8213.